The business secretary has added his voice to a European-wide call for urgent action on anti-dumping. It might be a demonstration of locking the door once the horse has bolted. But the business secretary, Sajid Javid, has added his name to a letter to the European Commission seeking swift action to save the continent's steel makers. British steel firms have been very vocal about the impending crisis - even before the raft of job cuts (more than 5,000 since the summer) that brought the issue into public consciousness. Now the business secretary has joined forces with European counterparts from France, Germany, Italy and Poland, outlining in a letter to the EC the dangers the industry faces due to imports of subsidised Chinese steel. The letter, seen by The Telegraph, calls for the immediate introduction of anti-dumping measures and requests the Commission ‘use every means available and take strong action’. It's better late than never, but probably won't do much to assuage the concerns of British producers who feel there has been little in the way of delivered measures to aid the struggling industry. The EC recently announced that it would introduce levies of up to 13% on China’s cheap exports of reinforcement steel (rebar) so European steel makers could achieve a ‘reasonable profit’ of 1.65%. That was promptly derided by UK manufacturers as a limp token effort which did little to acknowledge the severity of the situation. 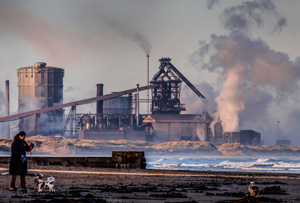 Steel makers viewed the EU decision that steel firms would be exempt from green taxes late last year as a victory, but many resent a lack of a greater response to alarms raised from the industry. While the flood of cheap steel from China has caused problems across Europe, UK producers have repeatedly said they’ve been worse off due to higher costs and taxes. Considering the government was criticised by a report from parliament’s Business, Innovation and Skills committee for inertia on the steel crisis, it's amusing to see the business secretary add his name to a letter saying the EU ‘cannot remain passive when rising job losses and steelworks closures show there is a significant and impending risk of collapse in the European steel sector’. There is an element of the government having its hands tied. It can't do much on its own, obviously lacking the powers of intervention the EU has. Substantial anti-dumping rules will need to come from Brussels. A joint letter should at least provide strength in numbers to emphasise the urgency. Stace said it was ‘exactly what we have been calling for’ and hoped the pressure on Brussels’ bureaucrats would yield a quicker response, but he also acknowledged that the situation ‘could get worse before it gets better’. While producers should be buoyed by this effort finally signalling ministers listening to their concerns, they’ll be steeling themselves for far more uncertainty before they feel anywhere near on the road to recovery.